My centerpieces were huge and stunning! We upgraded the Cherish Collection to tall pedestal arrangements with beautiful Casablanca lily’s white hydrangea peonies and pink stock! Wow they came out amazing, unbelievable! Freddy was fantastic and got my vision right away, spent a little more for the bigger pieces but they loan you the candelabras for free! Overall it came out great and over $1,600 less that my other quotes, the customer service is friendly and flexible and easy to work with them, 5 stars they get! I love the Bliss Collection, all the packages are flexible, so i traded in my centerpieces for a low round garland with pops of flowers and they loaned me the vases for the candles for free! looks great and what a great price, They should get 10 stars! Fred was awesome and fun to work with, made me samples on the spot! 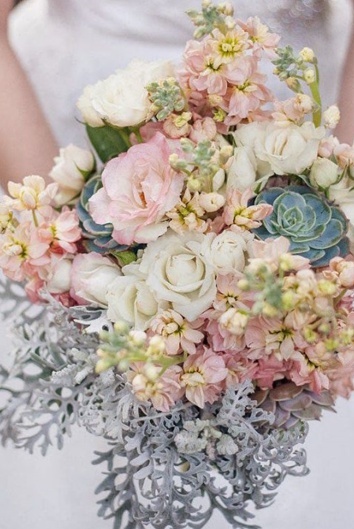 Love the succulents and spring flower look, Fred showed me this sample and it was perfect! They grow their own succulents and with the free rental vases I upgraded to tall pedestal centerpieces for a few dollars more!, the Dream Collection price of $1,199 was so low we went crazy upgrading for about $460.00 more but even with the delivery and set up we were less that $2,000. Fred and Annie are great and they make free samples of anything you like! Check out their website its awesome! 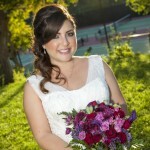 Ana was so amazing for my wedding, she made all my arrangements beautiful & perfect, just as I asked, some even nicer! The price was great about 1200.00 less than the florist nearby (and I got roses, lilies and hydrangea, all pinks and blush ). Fred stepped in with great repurposing advice that saved me from ordering more for my ceremony. The store is beautiful and they make you samples of all your pieces right before the wedding. The delivery was on time and Ana set up everything really nice, My best friend also just booked with Ana, we love her! Go see her for a great fun experience. Freddy did an amazing job he's so friendly and easy to work with and the flowers were outstanding. The delivery and set-up was perfect and on time and we had a great experience with the staff they're really nice and easy going. We started with the Bliss package because it was on sale for 50% off and we were able to customize it exactly the way we needed it. Overall we saved about $2,000 and had a great experience. Amazing flowers for my wedding, love them so much! These guys did a great job And Freddy and Ingrid both Wonderful. I really wasn’t sure what I wanted and when I came to the shop for my consultation they were doing a lot of weddings and I saw to arrange with that I really loved, I got the 50% discount on the whole order and they gave me some free gifts, overall they were much cheaper than the other floors but what I really like this I got to see samples of what I wanted right on the spot. I paid a little bit more tab the delivery and set up done by Desiigner but it was very reasonable. I thought it would be difficult to order my wedding flowers but I found it to be the easiest thing I did for my wedding. Beautiful flowers and excellent customer service, my bouquet was stunning it was made with hydrangeas and roses and lush peonies that were out of a season at Freddy got them from being in a special discount price I'm so thrilled with my flowers that I would recommend Freddy and his staff ! To say the least they were great! It's great to deal with a family business, his wife Ingrid was amazing, thrilled! Beautiful flowers great price excellent service! Herbert was amazing to work with! He totally hooked us up with an incredible flower package and made our venue look fresh and amazing. They took us in last minute and gave us SO many flowers for the price. He took what I was saying and provided me with my dream flowers! Definitely didn't skimp on the flowers for all 35 of our center pieces! Just amazing perfect flowers for my wedding I’m so very happy Freddie and his staff did such an amazing job that you were my girlfriends that are getting married also are them to do their weddings and his price is half the price of everybody else on this site trust me I went to five different florist and they all were very high-priced and wouldn’t make me samples and Freddie may be free samples on the spot! They’re so friendly and easy-going and I’ve got lots of free gift coupons on their website so go to their website and look at the amazing packages I got the Bliss collection and saved over $1000! Go see them and ask for Freddie ! Everything about my experience was absolutely perfect! My bridal consultant Karen made the experience over the top with her knowledge and expertise. I had a vision of my bridal bouquet and they help me put it together with beautiful peonies and blush roses and hydrangeas, stunning! Thank you so much for an amazing job! I would strongly recommend them to any bride. My wedding flowers were perfect! 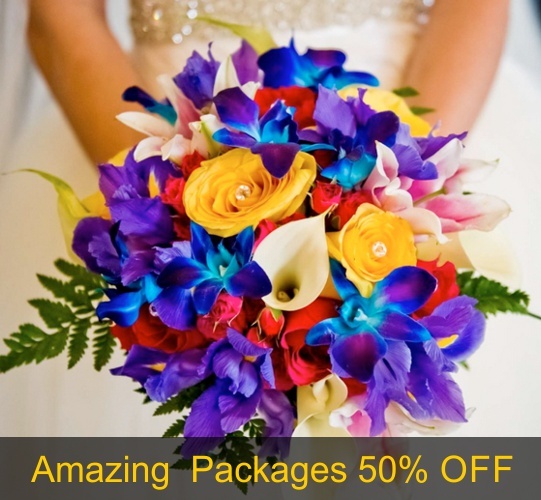 Tip, start your wedding g package with the Bliss Collection they feature at 50% discount, they let you add on more or customize it anyway you like! Then they just give you 50 off the whole order, we saved 2200.00 with Showcase!, I will recommend them to all my friends. I came in super last minute on a Sunday night looking for red roses and Justin was simply amazing. As soon as I came in he greeted me with a friendly smile welcoming me in and handpicked the biggest, best red roses I've ever seen. Justin was super attentive to everything I requested and went above and beyond anything I expected in purchasing roses for a loved one. The selection is amazing and the prices are the best around but the thing that stand out is the customer service. I was greeted by a gentleman named Justin right away and he was a pleasure. Told me about the specials and then made my arrangement better than I expected. 5 star service. Will definitely be back. The arrangements definitely are Amazing and my wife was soooooo happy. First off, I have to start off by saying how affordable everything is in this flower warehouse. They have everything from seasonal blooms, all year blooms, and even hard to find flowers. I was helped by Freddy and contacted him on behalf of my school organization. Because this is a family owned business of 54 years, their customer service was nothing short of amazing. I needed flower donations for an event my organization was hosting and he promptly asked me what I needed and when I needed it by. No questions asked! Thank you so much!!! 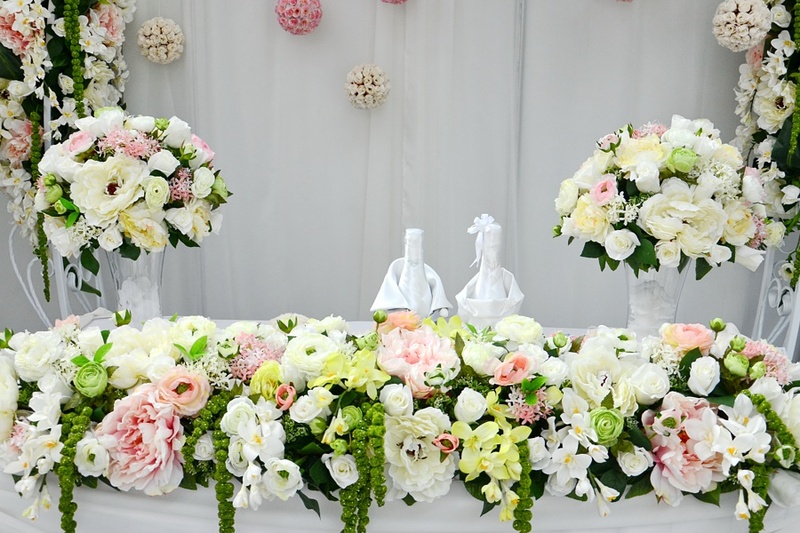 Our event will be nothing short of amazing with all of your beautiful floral designs that will bring life to the venue. Just perfect wedding flowers! Really great job at Showcase, they made all my centerpieces and bouquets exactly as I wanted them and then delivered and set up everthing perfect! So so happy I chose them, my mom tried to get me a great deal on flowers at 2 other shops here on wedding wire but they were both so expensive and none had samples to show me, kinda like they were telling us what we wanted...my friend used Showcase Floral for her wedding last year and said they were easy to work with, did a beautiful job and were half the price of the other florists, so we went to see Freddy and were so happy! Now I can say they are great would give them 10 star if I could and saved me allost 3000.00! Came into 800Rosebig and was assisted by Justin who was incredibly helpful. He was not only very knowledgeable, professional but fast and efficient when it came to preparing and providing exactly what I was looking for. I would highly recommend anybody to come visit this shop to not only have the best freshest flowers but to experience the love and care from the employees here. Not to mention my daughter received a free bouquet of spray roses upon my purchase here. Came in to look for some nice flowers, for a special day and I was instantly greeted by Mauro who was very helpful and willing to give me something I was going to like. He was able to make me a beautiful set with Sunflowers and pink roses that turned out very beautiful. I really appreciated his help and will be coming back here in the future whenever I need flowers while shopping in the OC area! I don't even know where to begin..... the flowers were all fresh and beautiful for our wedding. 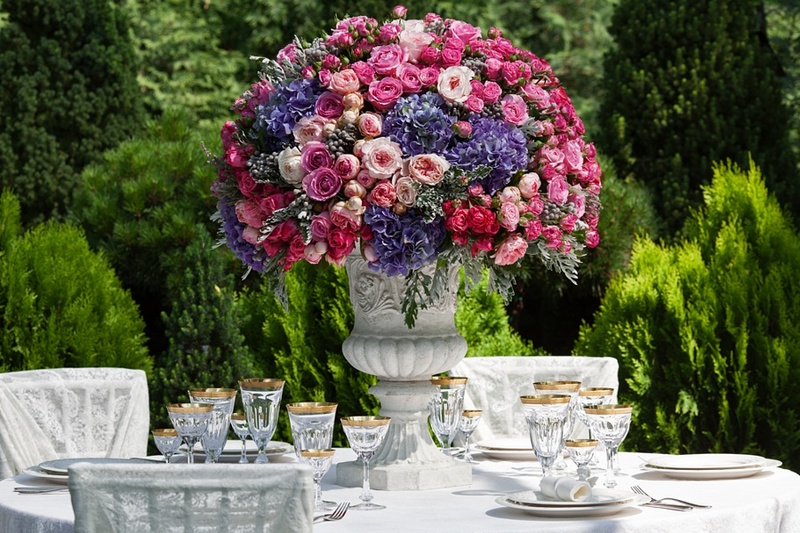 The process of picking the flowers and creating the best centerpieces were a breeze with the help of Herbert. He's not only sweet but he's got the knack for putting your vision together. I liked how days before the wedding you get to do a mock up of your centerpiece and bouquet which had me feeling very confident for the big day. 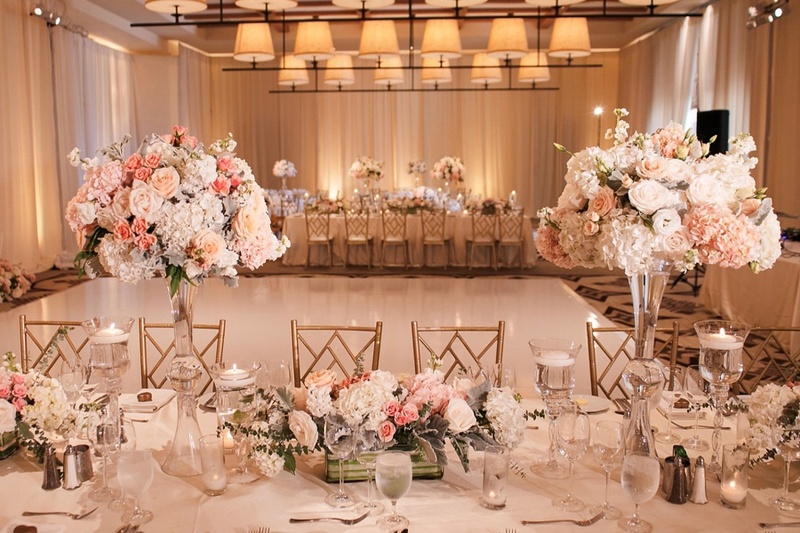 When i walked into our reception I couldn't believe how beautiful the centerpieces were. They were way better then what the mock up looked liked. Rosebig definitely exceeded our expectations, I can't thank Herbert and the others involved enough for all their help. I highly recommend them! You can't beat the prices either! Thank you thank you!! Perfect flowers for my big day! So fresh and beautiful and the delivery and set up was flawless! My Bliss package was 50% discount and saved me 960.00! Fred really cares to make everything perfect and It shows, no wonder why they have tons of great reviews and won all the awards here on wedding wire! I would rate the 10 stars if we could! Go see them! As Flower Wholesalers We Buy Direct from The Growers and Pass the Savings To You! 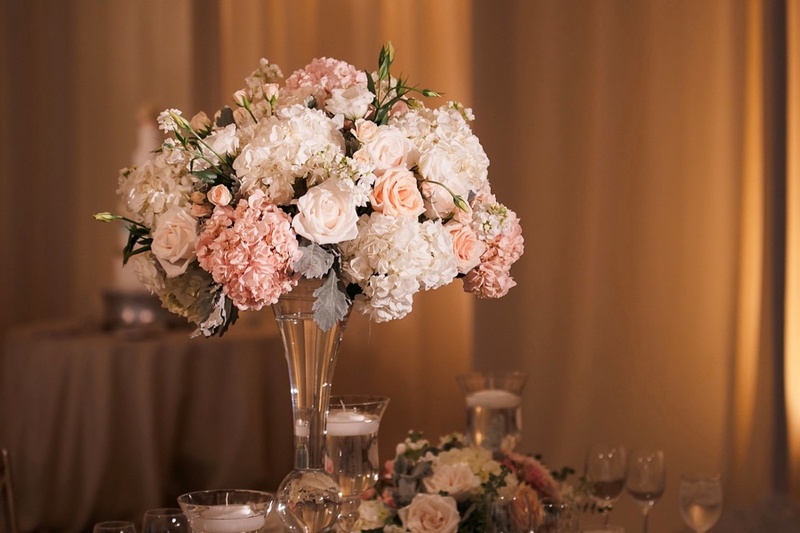 If you are looking for wedding flowers, bridal flowers we simply have the most fantastic wedding choices here with the largest selection I love roses hydrangea lilies daisies succulent’s orchids carnations Garden roses vases centerpieces candelabra arrangements! 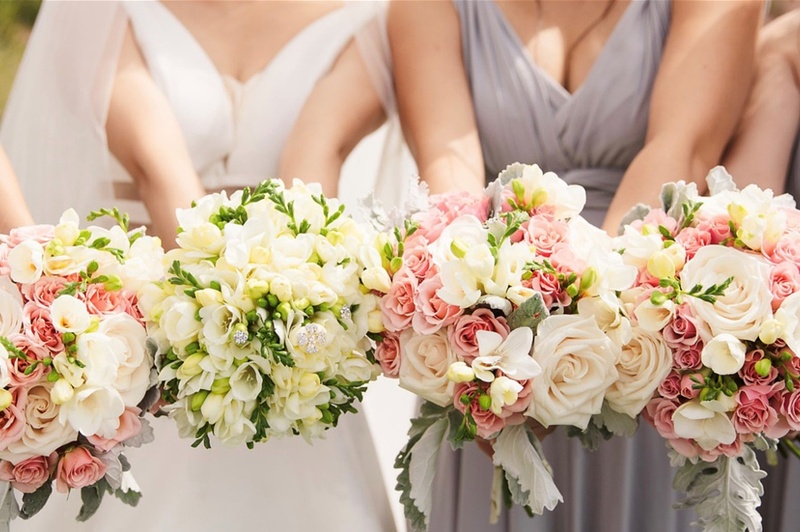 Stunning bridal bouquets, 800 Rosebig is the largest wedding florist in California, Newport Beach, Orange County, Ventura County, San Diego, San Bernardino, Riverside, Los Angeles, Santa Barbara, and everywhere in Southern California we deliver. 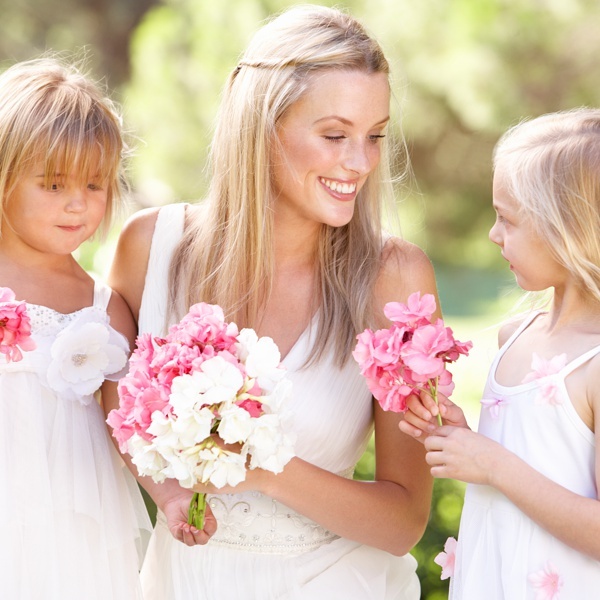 Save 50% or more on our wholesale wedding floral packages, bridal shower flowers at 50% off! Delivery and setup available! Free consultations and estimates! Seasonal flowers are our specialty. Open seven days a week and we deliver seven days a week! 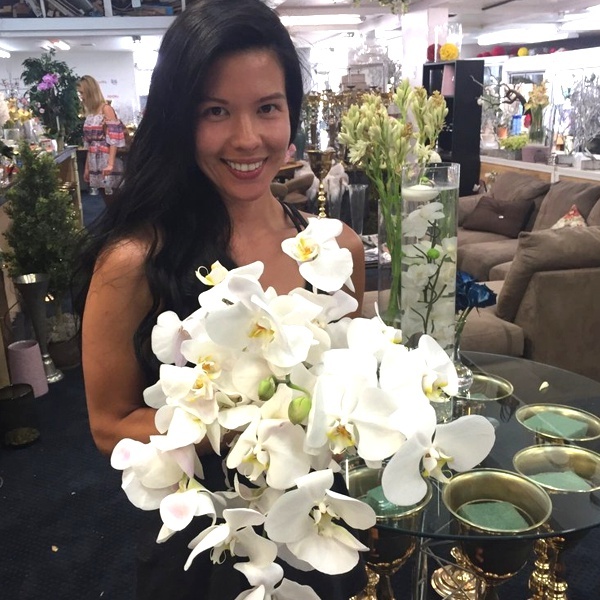 To all wedding venues, bring your wedding coordinator friends and family members for a great consultation Nancy’s sample flowers from all over the world all-in-one super store located right off the 405 in Newport Beach! Wedding wire florist of year The Knot florist of the year, bridal channel florist of the year! 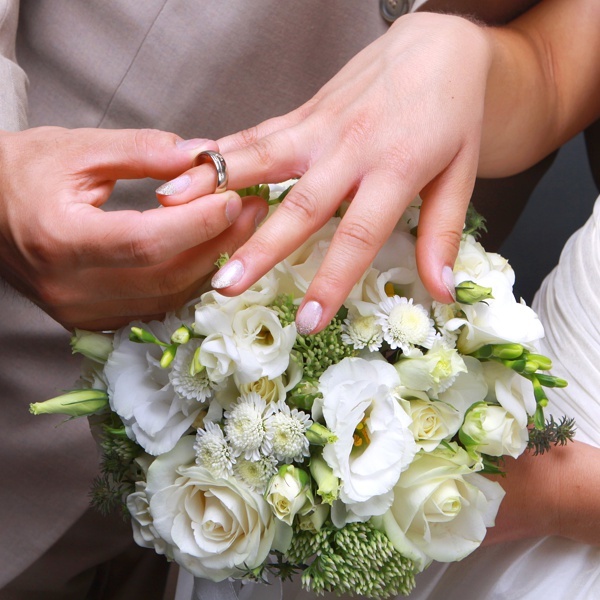 Family owned and operated for 53 years with over 10,000 weddings and Thousands of satisfied customers. 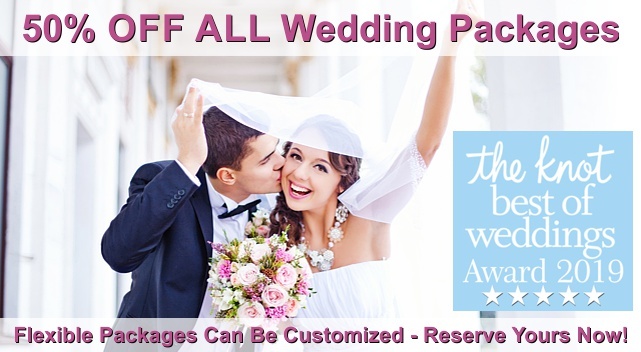 What do you want to glamorous full service wedding at the Ritz Carlton or Four Seasons or the montage, or a beautiful do-it-yourself wedding packages for your backyard we have an all is 50% off! 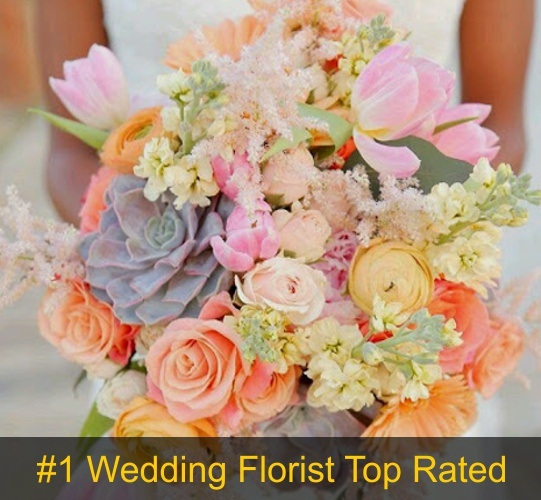 We are the highest rated wedding florist in the country with over 505 5 star reviews in the last two years, on the Internet! If you love gorgeous wedding flowers I want to meet the biggest wedding florist I want the nicest floral designs imaginable and have them all styled to perfection you must come to 800 Rosebig, Open seven days a week from 7 AM a.m. till 9 PM, we have thousands of vases, free rental of all our candelabras and pedestal vases, many free gifts, free rose petals, free sample bouquets, free boutonniere’s and corsage, free dozen roses for the cake table, Come choose your flexible wedding package and choose your free gifts! All is 50% off! Our superstore is over 4000 ft. with tons of free parking located one block or 405 in beautiful Newport Beach! Free Consultations 7 Days Plus Free Samples Made on The Spot! 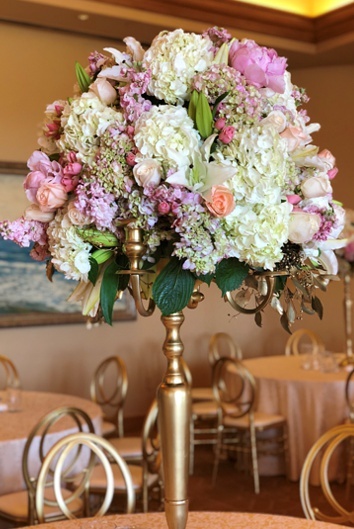 Come visit us seven days a week seeing the best in floral designs and wedding creations and enjoy a beautiful day in scenic Newport Beach! We are right by John Wayne Airport, Down the block from the Benihana restaurant just off Bristol at the 73! 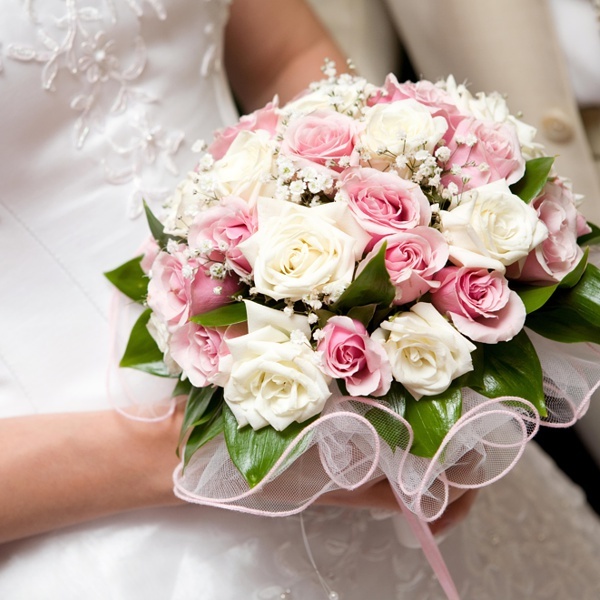 Bring the bridesmaids, mother of the bride, father of the bride and all your friends and relatives and enjoy the complementary bridal channel Café where you can watch all the bridal channel shows and great movies about weddings like father of the bride while you’re enjoying your consultation I’m sampling all are beautiful flowers! What free Starbucks coffee cookies cakes chocolate and snacks you’ll have a great experience and our huge establishment! 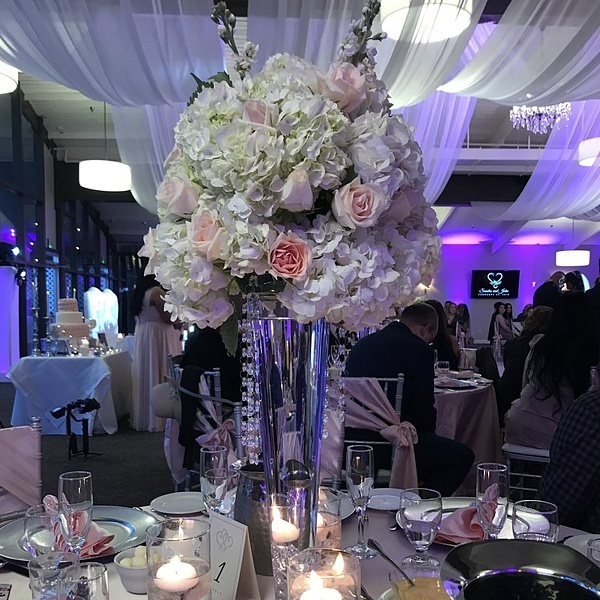 Since we do about 15 to 20 weddings every weekend the place is packed with flowers bouquets centerpieces arrangements arch decorations, gazebo decorations, chupa decorations, wedding ceremony decorations wedding venue decorations and much much more! 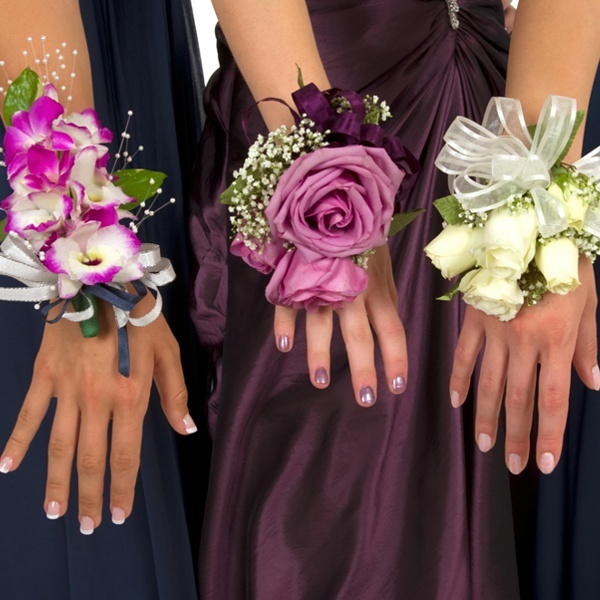 We are also fabulous at all party and event floral design, whether it’s a bat mitzvah, bar mitzvah, graduation ball memorial service we are a full-service florist that has amazing ways! 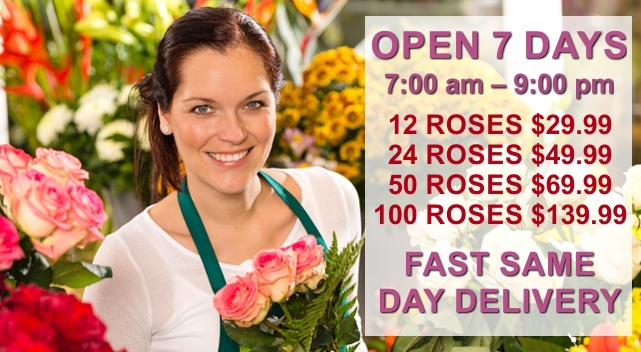 Never before have you been able to buy 50 roses for $39.99 have them arranged beautifully as a bouquet or in a vase for delivered anywhere you need them to be delivered what here at 800 Rose Big we do it every day. 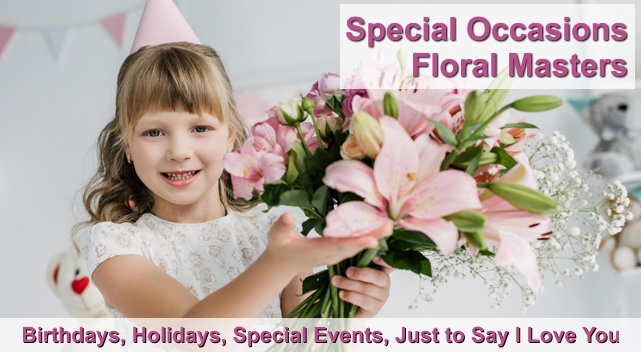 We’re the only florist it’s open seven days a week and delivered 7 days a week! Call our toll-free 800ROSEBIG – 949 698 2014, email us at 800RoseBig@Gmail.com. 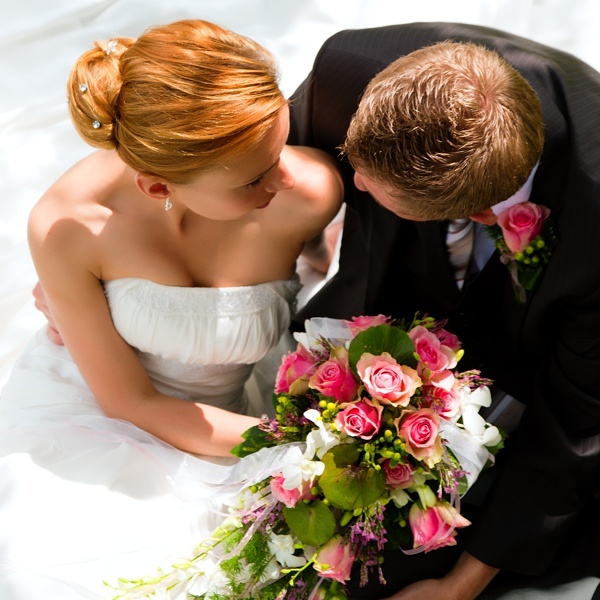 Bridal salons, wedding photographers, wedding dress companies, wedding DJs, wedding jewelers, and so many wonderful wedding venues recommends us throughout the industry! 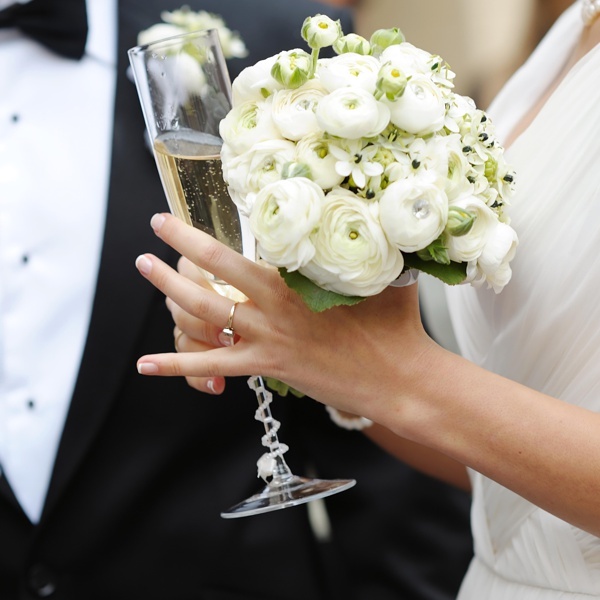 Whether you’re getting married in Santa Barbara or San Diego, from Palm Springs to riverside, all over LA, and in every county in Southern California, we deliver every day! 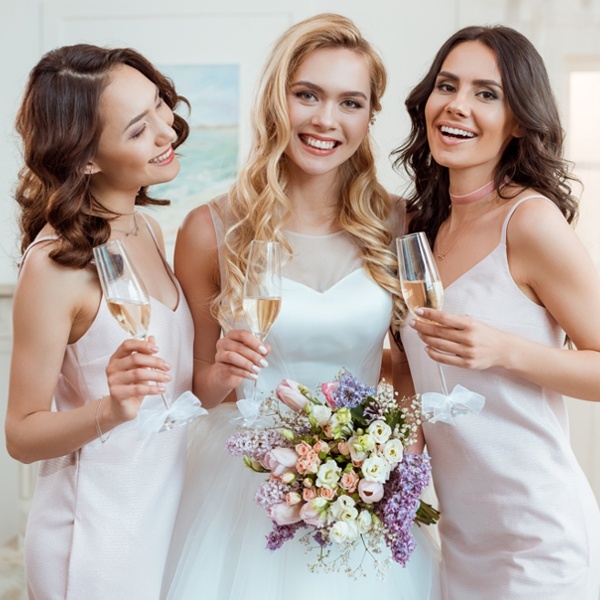 We can also recommend beautiful beauty salons and spas FOR brides to get facials and hair and makeup done, as well as great wineries from Temecula and all over San Diego, we go to THEM ALL! Winner of the prestigious American Express merchant favorite award we take all credit cards MasterCard Visa Discover and debit cards. 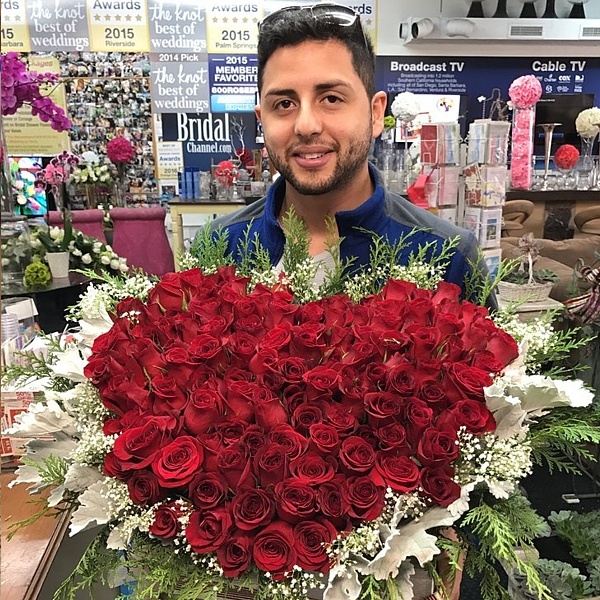 You want to send a dozen roses, need a bouquet for your wife or secretary or girlfriend we are a full-service forest open to the public at wholesale prices with the largest selection of any florist anywhere! 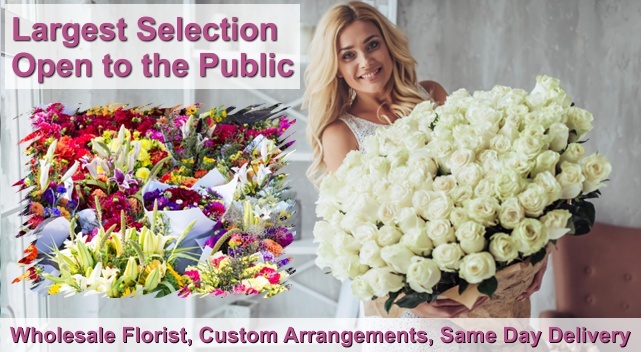 As a wholesaler for over 40 years our company established ourselves as the top wholesaler in America supplying hundreds of florists with their flowers, now we have open the doors to retail customers to come and buy all these fabulous flowers at wholesale to the public pricing! 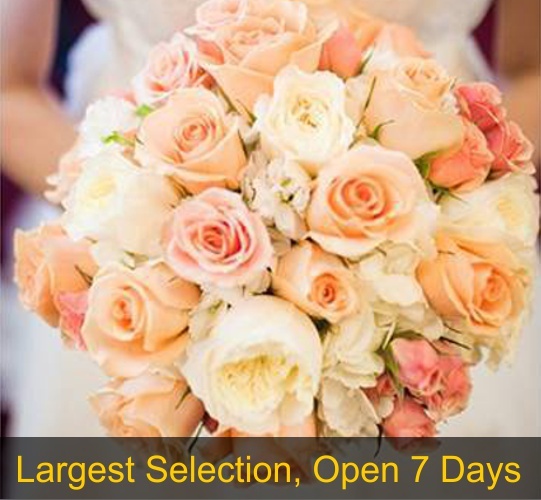 Watch the 800 Rose Big TV show on Bridal Channel every day seven days a week on Cox cable and Time Warner and on Roku in the lifestyle section Live 24 hours a day! Go to the website Bridal Channel and watch all the shows for free! Have your beautiful wedding style by our award-winning designers, meet the most talented people in the industry and by all at wholesale pricing save 50% now, call us for a free consultation and estimate at 50% off! I recently got married at the Ritz-Carlton in Laguna Beach a beautiful hotel. Added outdoor wedding ceremony with beautiful flowers from 800Rosebig. They came and set up everything early in the morning for my ceremony and then stayed around all day to repurpose and move everything to the reception which was nearby. Overall I would have to give these guys a 10 star review! I’ll tell you why, Freddie was just so so amazing and teaching me how to save a lot of money by repurchasing my ceremony Flowers to the reception. He really felt that getting me the lowest possible price on the Flowers allowed me to get more flowers and bigger arrangements while keeping the price down. You know the other floors we went to they all wanted to charge us a lot extra for extra pieces route the wedding and nobody talk to me about saving money by repurchasing. I think Freddy really deserves all the credit I had great Flowers the service was excellent everything was super fresh and beautiful and he just really cared about getting me a gorgeous wedding for my price range. The other floors I went to all seem pretty good but they all wanted between nine and $12,000 for my wedding and when I went to Freddie I told him my budget was $3000 we worked it all out including the repurpose thing I did spend a little bit more money the total came to 3600 but I got everything I wanted and I even was happy to pay an extra hundred dollars to have the staff stay on location throughout the day to move everything around because it did save me a lot of money with the repurpose sing. I’ve already recommended Freddy to chew up my bridesmaids they’re getting married next year one of them is getting married at the four seasons and the other ones getting married at the montage so I know Freddy’s gonna get a lot of business from his great ways of caring about Bride saving money and doing a great job for that he deserves a 10 star review what I highly recommend him. 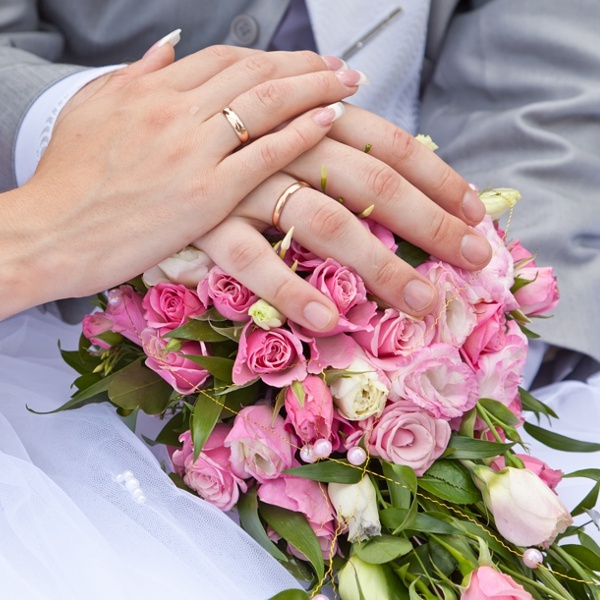 Very nice five-star review do-it-yourself wedding from Pamela. 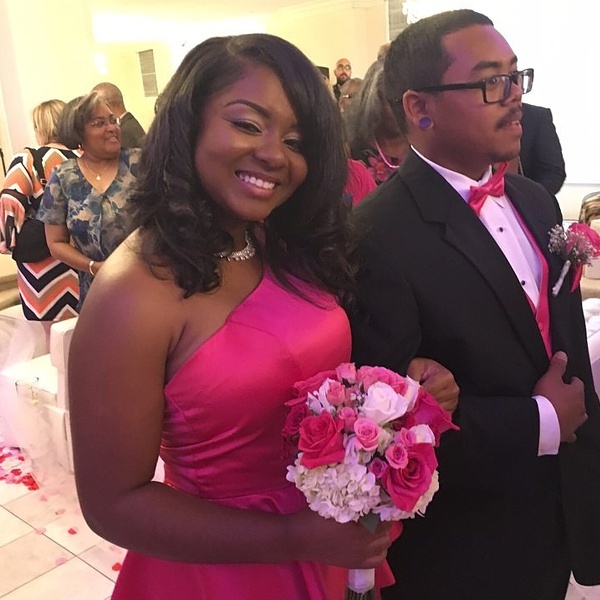 My wedding was on a very tight budget because my fiancé was in the military and we heard about the big military discount here at 800Rosebig. First I wanted to do it myself to save money and buy the flowers at the LA flower market but I heard so many bad things about the quality of the flowers that you get there that I really just didn’t want to have a problem with my wedding. So I read about Freddy and 800Rosebig and all these great reviews and I went and saw him I only had a budget of $300 to spend he showed me a package they had for $399 that was flexible and I can tweak it or add on at half price I didn’t need the whole package it was pretty big so I deducted a couple centerpieces and we worked it all out for $320! The flowers are beautiful and I really got everything I needed. I really recommend Friday because he does a great job there were many other brides in that day that I met most of them working on big big weddings for a lot of money but you know he took the same time to work with me for $300 wedding and all the other brides. He said that he’s been running the company for his mom for the past 40 years and that she had started the company 53 years ago he showed me all the awards they won for Wedding Florist of the year and how many great great beautiful bride had great success with this company. I really enjoyed my experience and for the first time Ireally felt comfortable here. Freddy has lots of funny stories and tells great jokes and made me laugh I want to thank him for his caring and the military discount and the great wedding flowers that they did. 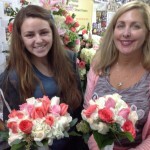 Five-star review from Cindy Benjamin married April 15 Laguna Beach Awesome Flowers super low price! 800Rosebig really is great at first when I came in there I never thought that I could get such a big beautiful wedding for such a low price believe me they had huge candelabra arrangements they had centerpieces they had bridal bouquets they had practically every flower in the world probably a thousand different bosses I didn’t even know what to do and when I met Freddy he was so kind and caring and told me not to worry that he would take care of everything. 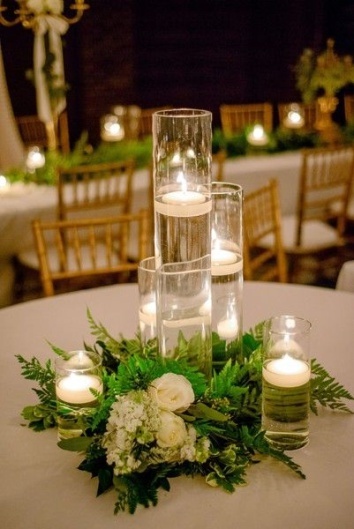 When he asked me my budget I just told them I didn’t really have a budget but I couldn’t spend $3000 on Wedding Flowers and I wanted those big gold candelabras so he said no problem will start with using the free gift coupon free loaner of pedestal bosses or candelabras perfect I saved 600 bucks right then and there we went through the whole wedding water when I walked in there there were so many samples for all the other brides that were coming in for their review appointment that it was so easy to pick out my version of that. I knew the place was right when I first walked in because there was at least five other brides they’re working with their designers on their weddings and everything they were working on was just beautiful and perfect. I’m so happy I met Freddy at 800Rosebig Wholesale Wedding Florist in Orange County in Newport Beach and let me tell you they delivered everything perfect Superfresh and on time and I was so happy to see that Freddy was the host of the Bridal Channel television show on the Bridal Channel TV network he’s so funny you got to call him you got to meet him he’s wonderful thank you so much to Freddy and all his wonderful staff! Five star review from Beth Olsen incredible fresh flowers! 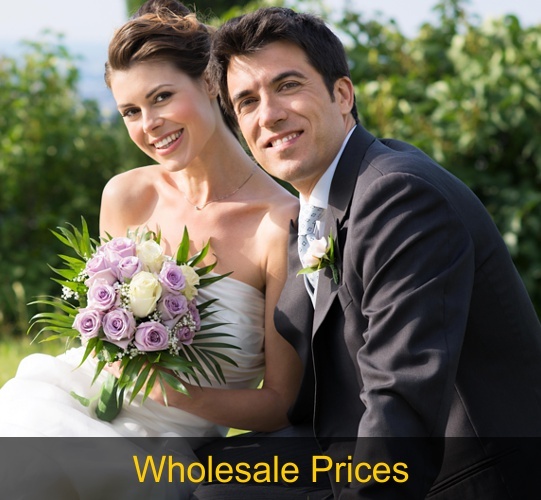 I came to 800ROSEBIG Wholesale wedding florist in orange county, good located in Newport Beach, and have a huge retail flower shop where they sell the freshest roses flowers hydrangeas lilies arrangements, centerpieces, and bouquets all at wholesale prices. I say 50% off my entire order! I’ve never seen so many flowers in my life! The staff was really friendly and Freddie the owner’s son gave me a great deal! My wedding was at my home in Santa Anna, so I was on a tight budget. I first planned on doing it myself, a DIY wedding bride. 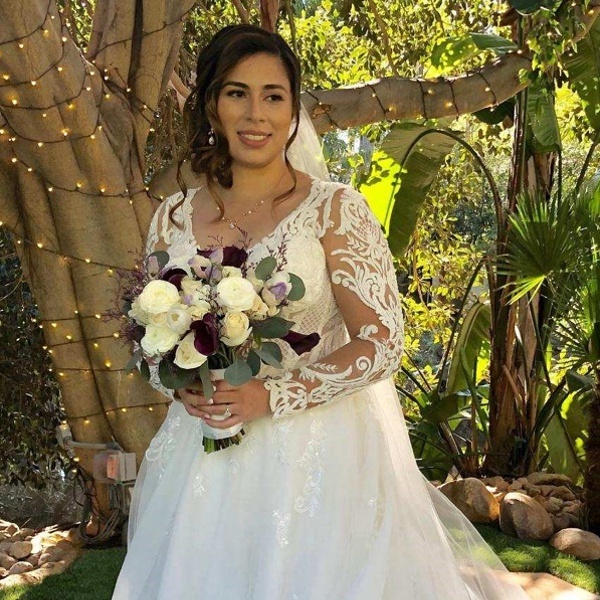 The save money my friend was going To help me, and when we came in so all the wholesale wedding packages on sale for 50% off we realized that we can afford to have our wedding done by floral designers and get a much higher quality look for the same price! Hi both them on the spot and they did amazing job. I’m thrilled with all my wedding flowers and they made my special day even more beautiful! I get a big kick out of Freddy, is really funny and I watched him on the bridal channel TV show, he said he was going to put my wedding flowers on the show in the fall season. I’m telling all my friends to watch bridal channel it’s a great funny show what lots of cool brides brides maid’s mother of the bride’s father of the bride and so many other wedding professionals! The show I watch that the store had wedding coordinators and wedding photographers being interviewed about their favorite wedding venues. 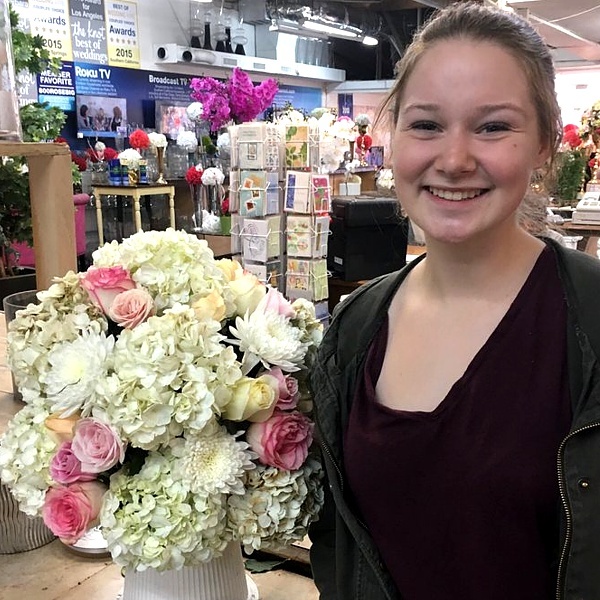 Of course 800 Rose big as the top wedding florist is featured in every show because they shoot to shows at the store. 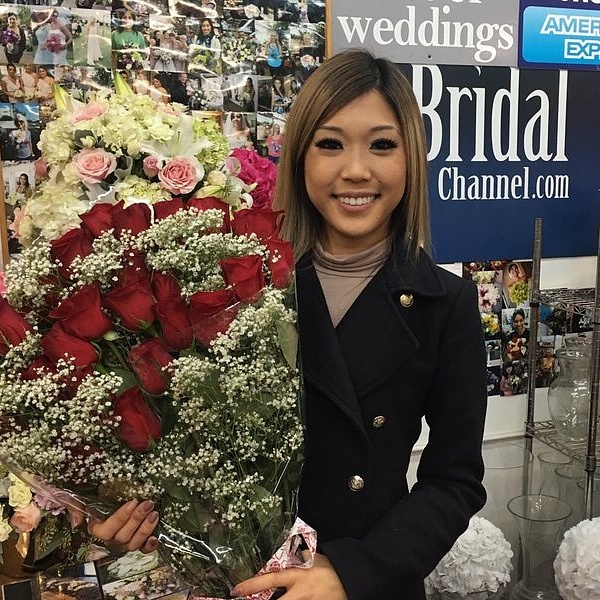 As a business person not exactly in the wedding industry I was very impressed about a florist that has an arrangement with the TV show like bridal channel to promote their business and all their other friends in the wedding industry. While I was there one of the wedding invitation companies was setting up a display for the weekend. They have open houses every weekend for the brides and they always promote the neighborhood businesses. I think these guys really have a great business an overall I’m extremely satisfied and lucky that I found them! 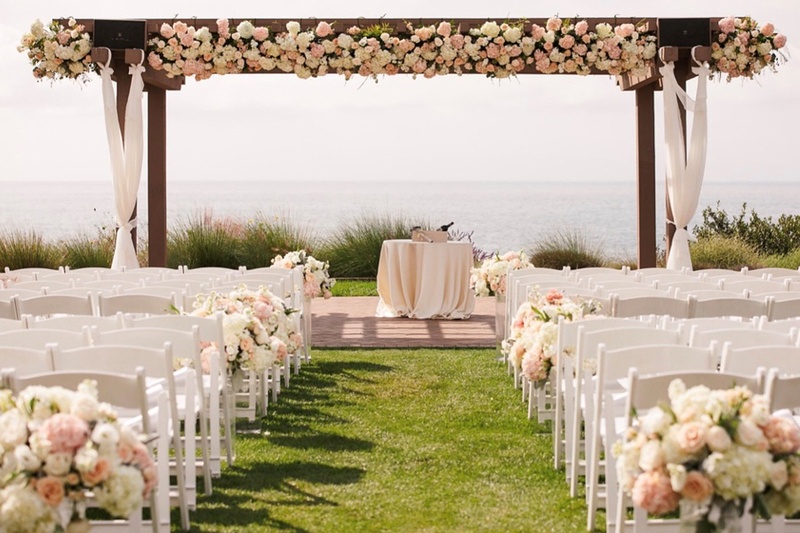 I was looking for Wedding Florist for my wedding at Tivoli Terrace in Laguna Beach, shopped around the local area and most of the florists I went to were to busy to see me or they wanted me to make an appointment a few weeks down the road or they wouldn’t meet with me because I wouldn’t spend $3500 or more! Now I was on a tight budget so what bothered me that the floors here were interested in doing my wedding for $1500, they wanted me to spend at least 3500 or they would do a consultation. 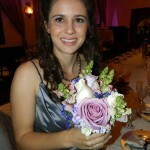 But my friend use 800Rosebig Wholesale Wedding Florist last year for her wedding at the Westin in Costa Mesa. The flowers were beautiful it was a huge wedding and I really didn’t think about asking her because I know she had a really big expensive wedding. I knew her Florist was probably out of my budget. Well she told me to call Freddie and I went down there for the 50% off sale event and I saved 50% on my entire order! My quote came in at 2900 with the discount they lowered the price by $1450 and my wedding cost $1450 plus tax. They gave me 4 free gifts free toss bouquet, free dozen roses for the cake, pretty orchid boutonniere and free box of rose petals for down the aisle for my ceremony! That save me another $240 so overall I save like 60% on my purchase the flowers were beautiful but I was so pleased with their service that I had to write a nice review and I really want to thank Freddy and all the guys for their wonderful service and I definitely recommend them go see them first you won’t have to go anyplace else!